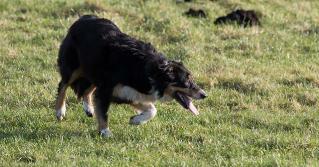 The East Anglia Sheepdog Society (EASS) is a friendly group that organises several competitive and non-competitive trials throughout the year. We aim to promote and foster, within East Anglia, the breeding, training and management of all breeds or strains of sheepdog, to secure the better management of stock by improving the shepherd's dog. To this end, in addition to trials we also organise clinics and training sessions for our members. We hold both Club and Open Trials throughout the year, details of which can be found on our Calendar page. If you are not a handler you are very welcome to come along and watch. Trials are run by the kind permission of great landowners and many are at sites that provide a great day out for spectators and their families - why not come along and enjoy the wonder of handlers and dogs working in harmony (usually)!